APRIL Bonus: 1 year of HOA paid at closing. 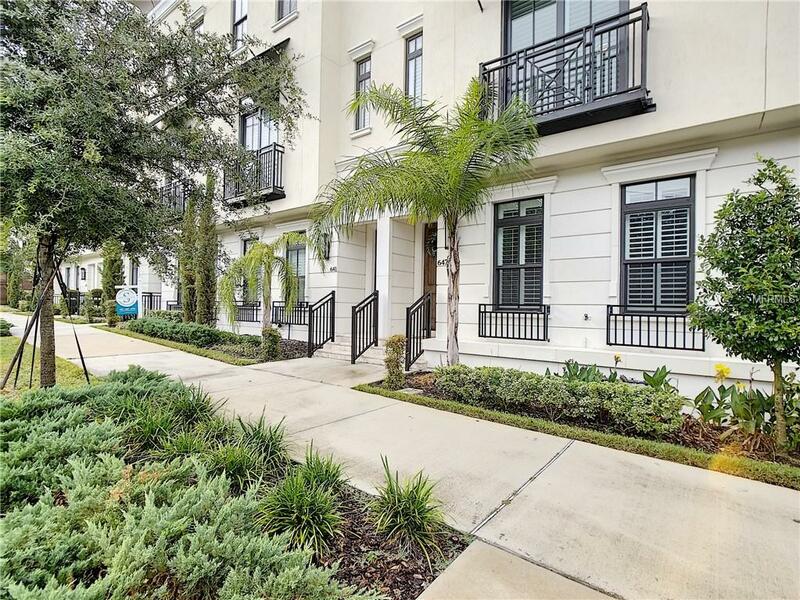 Welcome to 647 E. Jackson, one of twenty-eight luxury Brownstone Townhomes in the very heart of South Eola. This prime, highly sought after location just steps away from upscale eateries, neighborhood pubs and local favorites such as Publix Grocery, Starbucks, Dr. Phillips Performing Arts Center, Cobb Theater and much, much more. 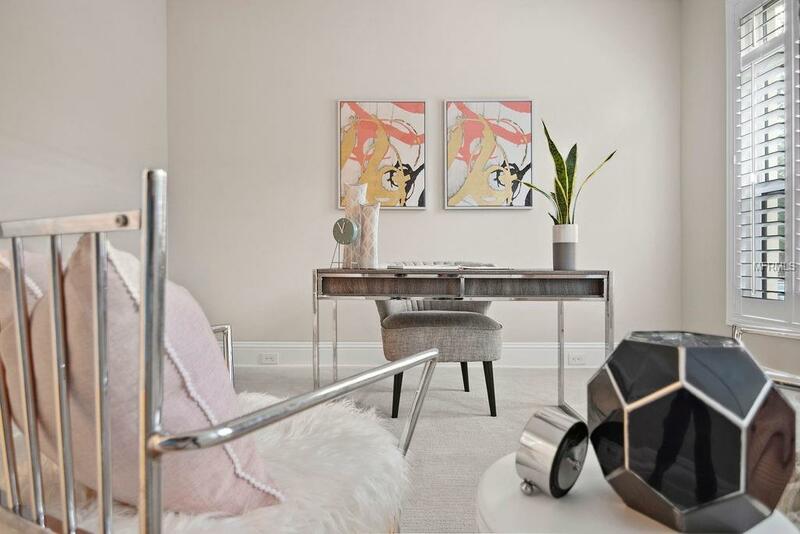 Clean lines, designer finishes, and urban elegance all come together to enhance the beauty and style of this richly upgraded 3 bedroom, 3.5 bathroom Brownstone. The first floor offers the homeowner a private 2 car garage and door entry as well as a one bedroom ensuite. 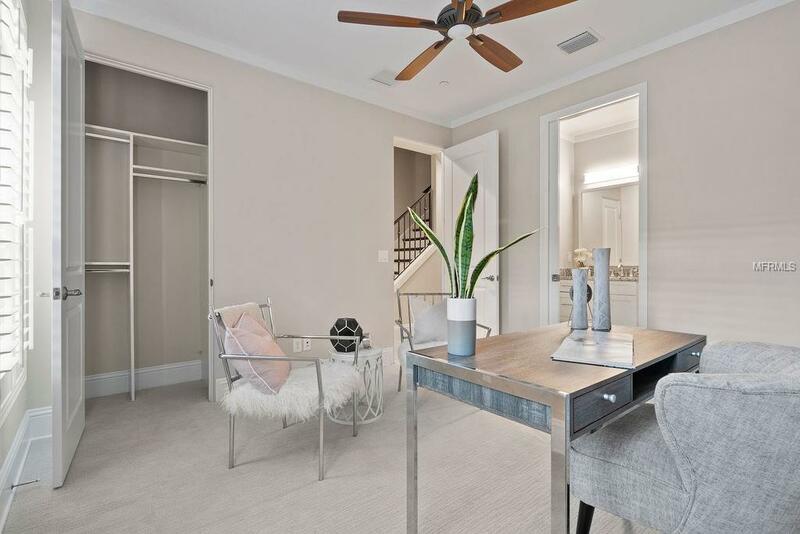 The main living area is located on the second floor and is accented with hand scraped wood flooring, Restoration Hardware lighting, and features a designer chef inspired kitchen. This gorgeous kitchen boasts an expansive center island, built in wine refrigerator and bar seating. Complete with solid shaker style cabinets, under counter, LED lighting, Thermador appliances, gas cooktop, vented hood, designer backsplash, and convenient pot filler. On the third floor find a master retreat that is second to none with plenty of closet space and privacy. 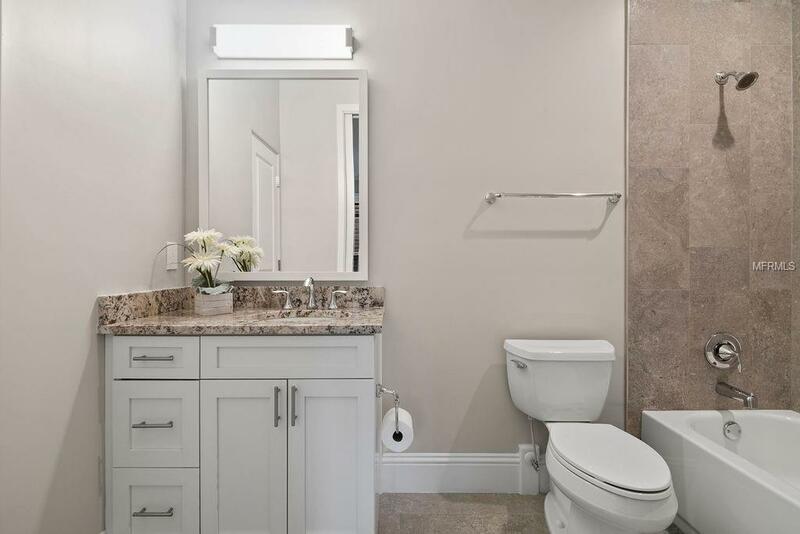 The master bath features an oversized frameless glass enclosed shower with a rain head, as well as a free-standing soaker tub and double vanities. Completing the third floor is the third bedroom ensuite, laundry, and access to the rooftop terrace.